I joined this project teaching in South Africa for 12 weeks in January 2014. I chose to work directly with one school helping in maths and English lessons of the older year groups. I wouldn’t have done it any differently if I went back. It was so rewarding being at the same school everyday. I really got to know the children individually and got really attached to quite a few! It was really rewarding watching them learn. These kids were so keen and willing to learn which only added to the benefits of working there. What we did varied between either taking kids out to help them with their studies in a more one-on-one environment but also working with the whole class playing educational games- we learnt a few new ones ourselves too! I guess it was difficult to know that however willing the kids were, their education outlook was bleak in comparison to what we take for granted in the UK. The school that we worked in seemed pretty basic in terms of education but I was informed that like all schools in Port Elizabeth it was fee paying – therefore not every child can even afford the very minimal education that was offered at that school.However the project has got great schemes going on to help those with real talent in sport to excel in their studies right through to university! We got a lot of attention from all the kids especially at lunch break! “Mulungu” could be heard all over the school which is the Xhosa word for white person. The littlest ones loved holding our hands and stroking our heads, just in absolute adoration of us! Lunch break was a fantastic time to learn some of the traditional Xhosa games and to hear the kids’ renditions of Beyonce’s ‘Single Ladies’ and Katy Perry’s ‘Roar’. My experience was so valuable and I would do it all over again if i could. 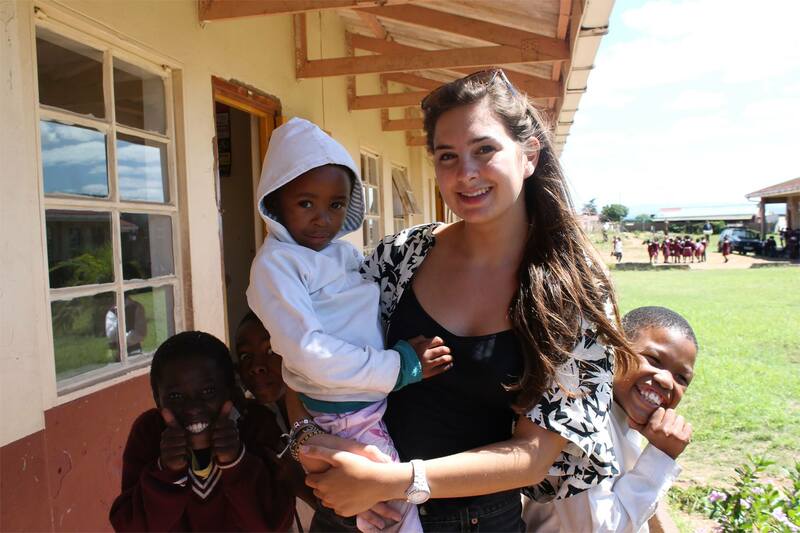 To find out about the project that Flossie did, see our teaching in South Africa webpage.